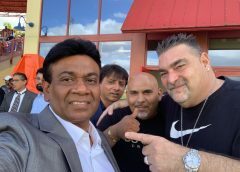 LAUDERHILL, the United States – September 25, 2018: The procession of Twenty20 cricket is all set to hit the American city of Lauderhill in Florida this December as players have started getting themselves registered for the richest cricket league in North America. The Somerset Cavaliers are all set to defend their title this year. They had outclassed the U.S. All-Stars in the finals last year to clinch the title. The Cricket Council USA is working days and nights to turn the 10th US Open an outright success both on and off the field on the momentous occasion of its 10th-anniversary celebrations. 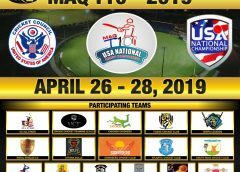 The registration process of players has already kicked off and during the first couple of days, around 100 players have signed up for the tournament. A total of 16 teams will lock horns in the five-day event and around 200 players will battle it out for the top prize. The US Open is regarded highly in both of the Americas. In a recent survey conducted in the West Indies, which is considered as the home of cricket in the far-western part of the globe, the US Open T20 is ranked the sixth best Twenty20 league in the world. 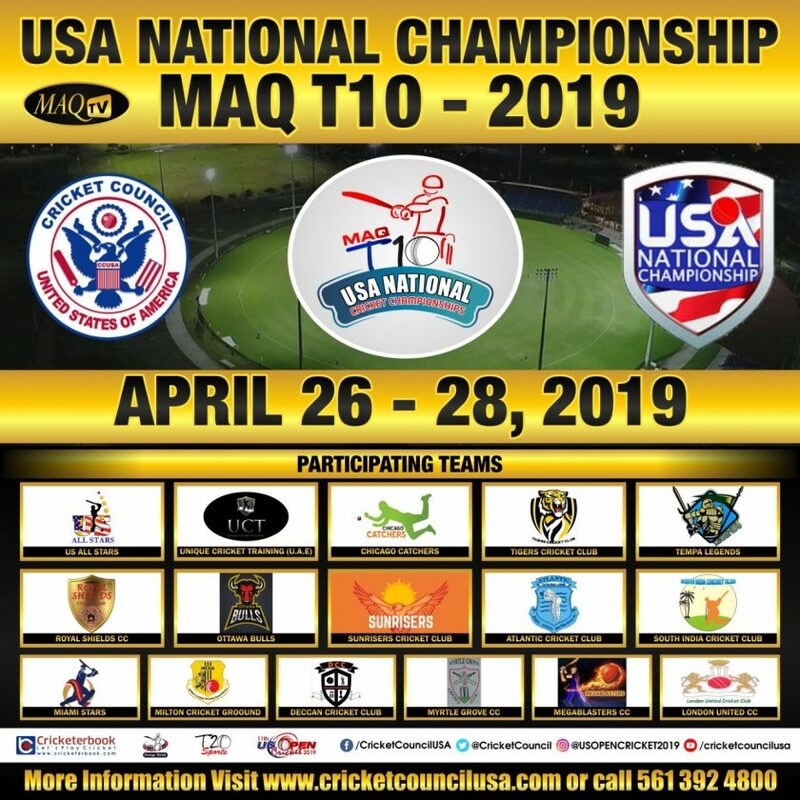 The liking and appreciation is a result of untiring efforts of the Cricket Council USA and Mr. MAQ Qureshi, who have turned the tournament into a brand within a short span of a decade. 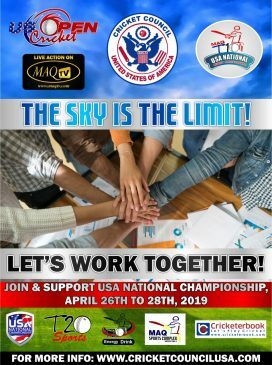 This year, the US Open will be staged alongside the Youth US Open at the ICC-approved venue of Central Broward Regional Park & Stadium at 3700 N.W. 11th Place, Lauderhill, Florida from December 12-16, 2018. The 2nd Youth US Open T20 Cricket will be played from December 15-17, 2018 at the same venue. The US Open has been shifted to the month of December to give the teams and their support staff to prepare well for the biggest cricket rivalry in the Americas. The MAQ TV will present the exclusive live coverage of the event on Facebook Live and YouTube Live. The other sponsors of the event are CricketerBook.com and T20Sports.com. The registrations for this year’s Youth U.S. Open are already open for Under-13, Under-15, and Under-17 events. 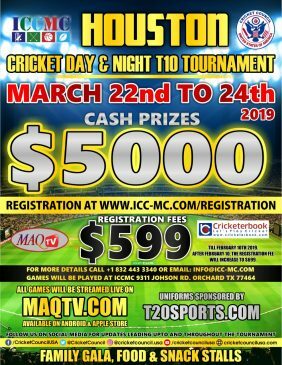 You may register your team by sending a request on the email addressregister@cricketcouncilusa.com or you may call at (561) 392-4800. 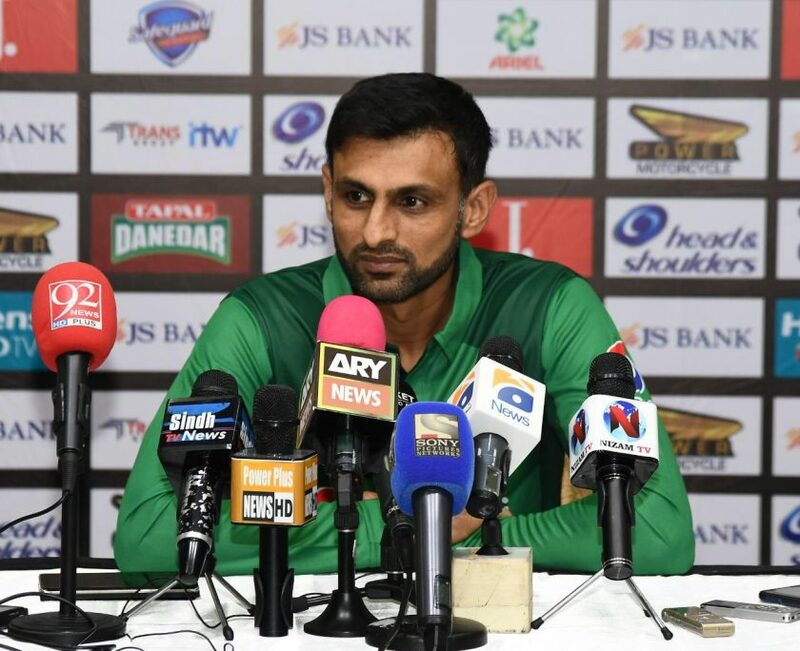 Muhammad Ali Qureshi, the founder of the US Open T20, has announced that the top 10 players in this year’s tournament will receive scholarships worth in total $5,000. Each of the top 10 players will receive 500 U.S. dollars each. The amount will be provided to the player’s school which would use the money to provide for books and other necessities for the player. 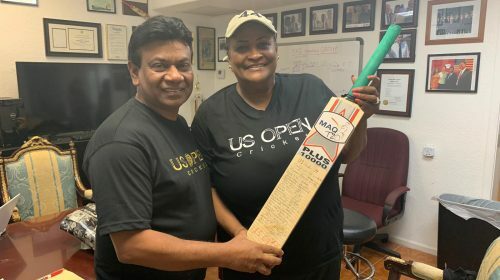 The cricket mogul of South Florida, Mr. Muhammad Ali Qureshi has embarked on a mission to develop the game of cricket in the United States of America. He has been on the forefront of cricket activities in the country for the past many years. 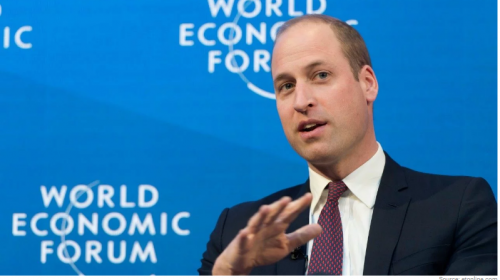 “We will see an explosion of talent from these young men and after this, we hope to see many of them coming to our academy to continue to develop their skills. 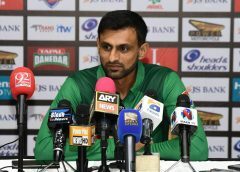 In the end, we will see a mushrooming of great talent that will be available for the US cricket team in the future,” he mentioned. The US Open T20 Cricket Tournament is the annual open-format cricket tournament in the United States of America. 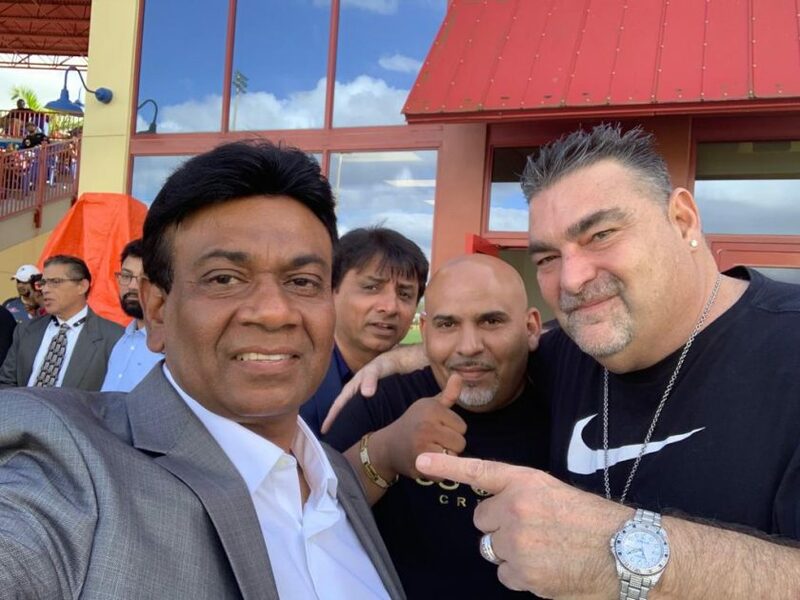 It is staged by the Cricket Council USA (CCUSA), a leading sports and entertainment management company in South Florida. The first US Cricket Open was played on December 4-6, 2009 at the same Cricket Stadium in Lauderhill, Florida. 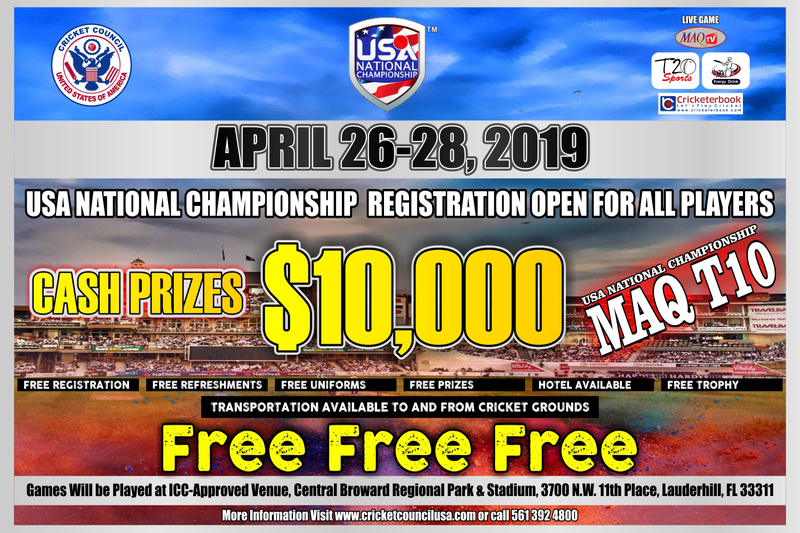 For registration, investment and more information on the US Cricket Championship Series, call (561) 392-4800 or visit the Cricket Council USA website at www.cricketcouncilusa.com.